This book talks about prayer, intercession, mission. Can prayer really change God's mind? Doesn't God already know what is going to happen? And hasn't he already decided what he intends to do? 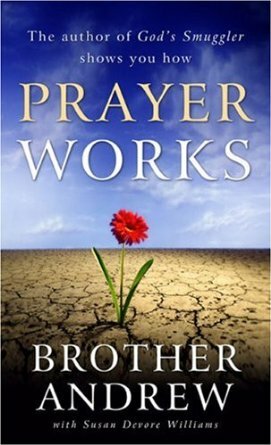 These are the questions best-selling author Brother Andrew explores in this thought-provoking book on a dramatically different kind of prayer. He shows readers how to differentiate between personal and intercessory prayer, how to listen and talk to God, and how to respond when God says no. Using illustrations from Scripture, as well as deep insight and practical advice, Brother Andrew shows convincingly that God has at times indeed changed his mind, solely because of the prayers of his people.